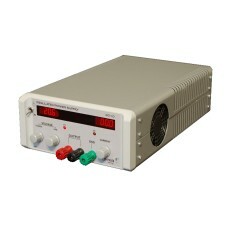 A high quality power supply, for laboratory, test and development divisions, teaching institutions, and hobbyists. Simple to use, reliable and affordable. A small footprint has been employed allowing several units to be stacked in a small area.